João Gonçalo graduated in Biology in 2016 in the University of Porto. During this year we created the VACALOURA.pt project and traveled to the Bavarian Forest National Park, Germany to do an internship regarding sustainable forest management and deadwood ecology. Nowadays he is conducting is MSc degree in Ecology and Environmental Management at the University of Lisbon. 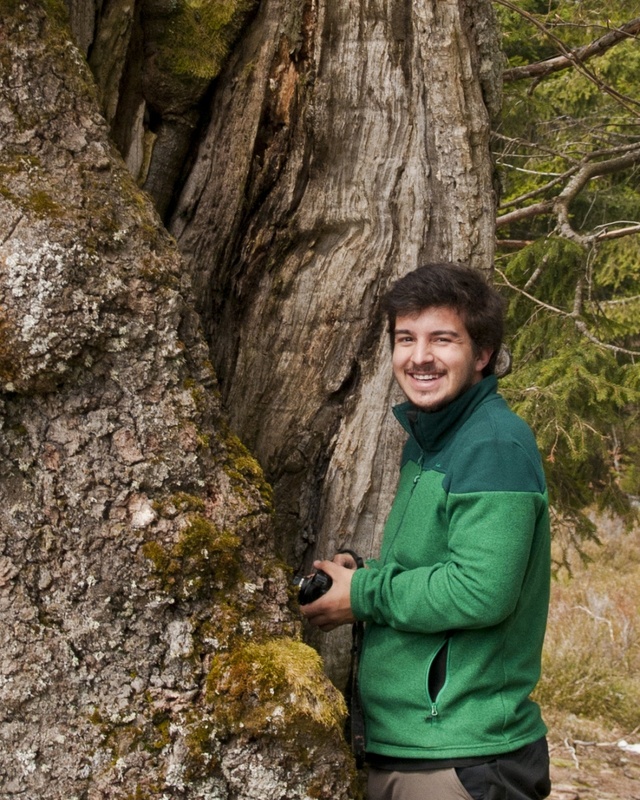 His MSc Project is called "How important are big trees for biodiversity? A call to the local comunisty of Lousada" and is part of the "Gigantes Verdes" Project. It seeks to inventor all the big trees of the Lousada county and assess the ecological value of each one, based on the diversity of tree-related microhabitats that they have. It seeks to obtain further knowledge regarding the value of trees as individuals for nature conservation and develop new strategies for their conservation in human-dominated landscapes. He's working under the supervision of Dr. Ana Luz and Dr. Cristina Branquinho.